Director, actor, and producer. One of the great geniuses of comedy in the cinema, Lubitsch was the most successful of the many émigrés and exiles in his transition from Weimar Germany to Hollywood. As a member of Max Reinhardt’s theatrical ensemble, he had supporting and smaller roles in numerous productions before turning to film in 1913. He was admired for his comic portrayals of wily and fun-loving characters through much of the Weimar era. But it was not until 1919 that Lubitsch got his first big directorial break with a string of European hits: Die Austernprinzessin, Madame Dubarry, and Die Puppe. Based on the success of Madame Dubarry, he was invited to America by Mary Pickford. Through a series of social satires he created the cinematic genre of the sophisticated comedy, and his trademark became ‘the Lubitsch touch’—a combination of sharp socio-psychological analysis and indirect comment. Unlike few directors, he was able to transform his international acclaim for silent film into the era of sound, directing such movies as The Love Parade (1929) and Monte Carlo (1930). 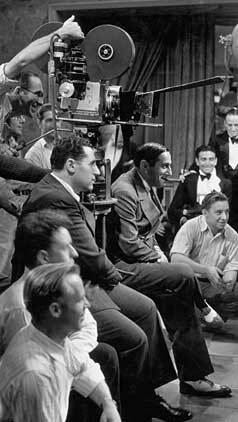 Lubitsch briefly assumed the position of director of production at Paramount in 1935, and it was for this studio that he made the features by which most people know him today: Ninotchka (1939, with Greta Garbo and in supporting roles Felix Bressart, Alexander Granach, and Sig Ruman), The Shop Around the Corner (1940, with James Stewart, Margaret Sullavan and again Bressart), To Be or Not to Be (1942, with Jack Benny, Carole Lombard, Bressart, and Ruman), and Heaven Can Wait (1943, with Don Ameche and Gene Tierney).